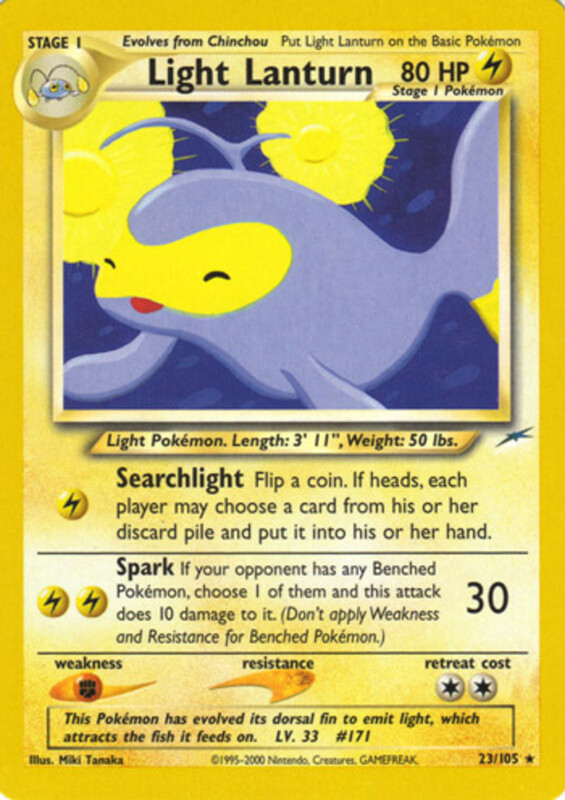 Recently, I stumbled upon the Neo Destiny expansion, which features several "Light" Pokemon. Pretty much the polar opposite of their Dark counterparts, Light Pokemon typically wield high HP or recovery effects, but low attack. Read on to discover the six best Light cards of Neo Destiny! Not Water but Electric, Lanturn enters with a respectable 80 HP for a Stage 1. Searchlight (1 energy) Isn't the best move, with only half a chance to allow you and your opponent to retrieve a card from your discard pile. Spark (2 energy) Much better, lets you zap a moderate 30 damage and then deal 10 to one foe on the Bench. Get Lanturn out early so it can start toasting multiple adversaries at once! Light Sunflora also joins with 80 HP, and can retreat for only 1 energy. Reflected Sunlight (2 energy) Lets you attach up to 2 Grass energy to any of your Pokemon, which can rapidly strengthen your heavy hitters. Solarbeam (3 energy) Simply blasts a substantial 40 damage. 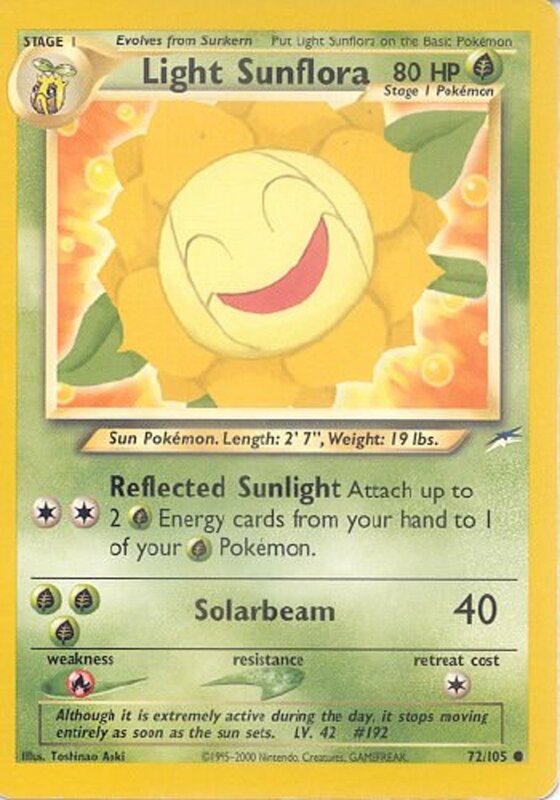 It's awesome that the TCG allows game-puny creatures like Sunflora to actually impress with their abilities. Freezing Breath (2 energy) Pricks a puny 10 damage, but either puts your foe to sleep or Paralyzes them based on a coin flip. 10 and a guaranteed status condition ain't bad. Ice Pillar (3 energy) Pumps out 40 damage, and also protects your Benched Pokemon from damage during your next turn. 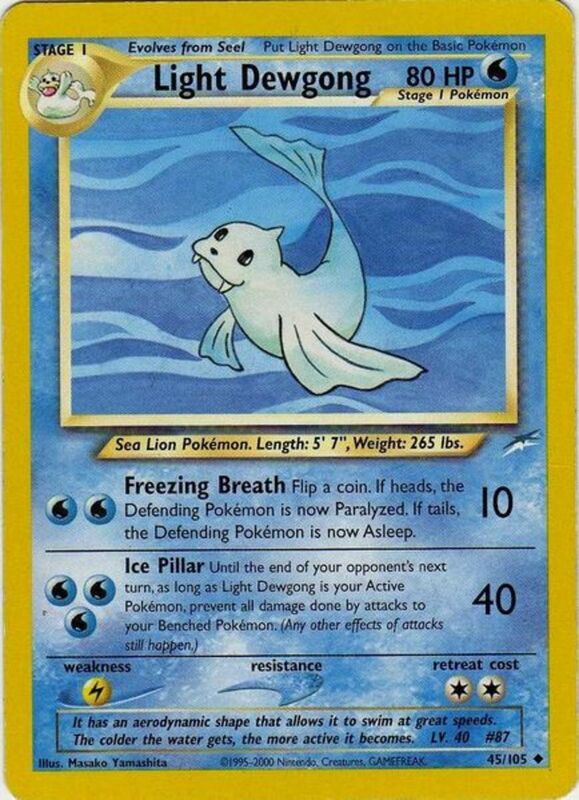 Light Dewgong impresses with its chilling (I'll stop) abilities that weaken foes and protect your Bench. Dragonites always seem to make my lists with their awesome qualities. A Stage 2, Light Dragonite possesses a hefty 100 HP, no weaknesses, and a resistance to Fighting. Miraculous Wind (Poke-Power) Turns all Special Energy cards into one generic energy. 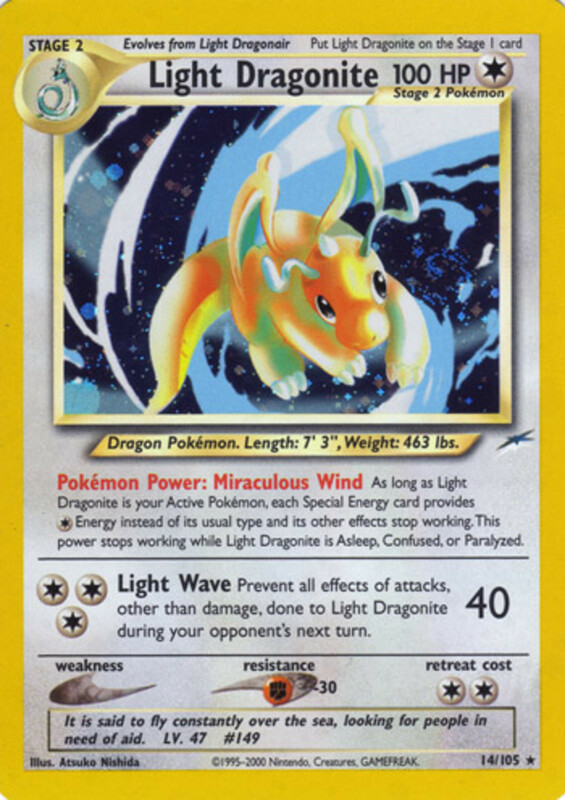 This can detriment foes, but doesn't bother Dragonite, as its only attack requires no specific energy. Light Wave (3 energy) Seizes 40 damage. 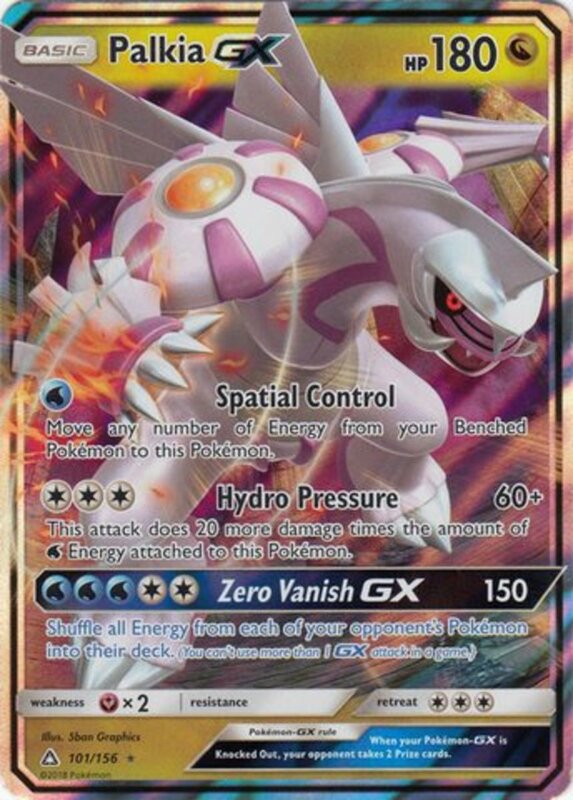 Plus, its effect prevents effects (besides damage) done to Dragonite on the next turn, making it nearly impossible to inflict a status condition or other hampering effects. Add in the small retreat cost (for a Stage 2) of only 2, and you've got one awesome behemoth. 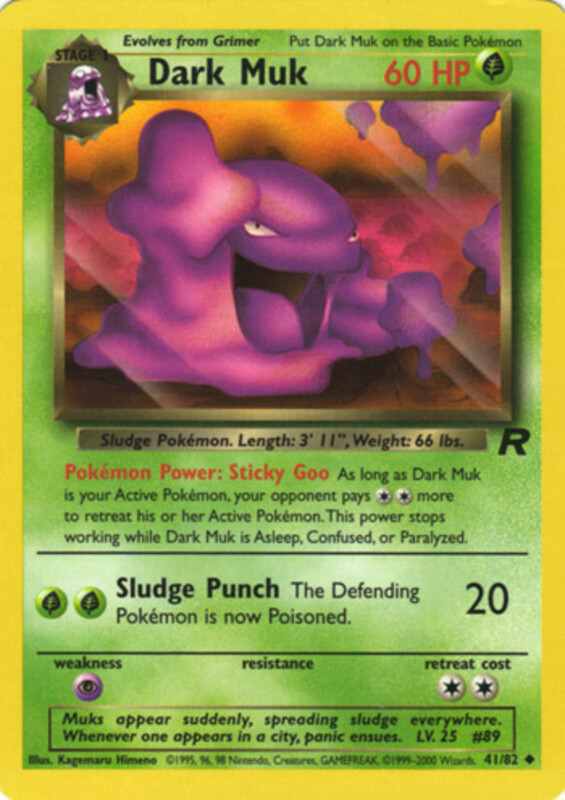 Another Pokemon that's almost worthless in the games, Ledian captivates with its unique traits and attacks. A Stage 1, it has 70 HP and a weakness to Fire, but resists Fighting and can retreat for free! Flash Touch (1 energy) You switch Ledian with a Pokemon on your Bench, and that Pokemon can't suffer a status condition while its out! 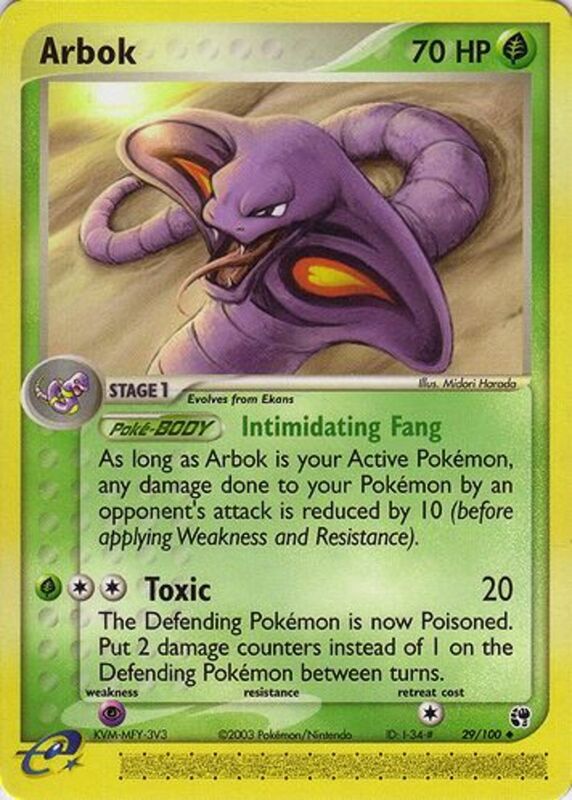 This works extra-well with Pokemon whose attacks inflict heavy damage but inflict a status upon themselves. Comet Punch (3 energy) Flips 4 coins and accumulates 20 damage per Heads, fluctuating between 0 and 80 damage, usually landing about 40. 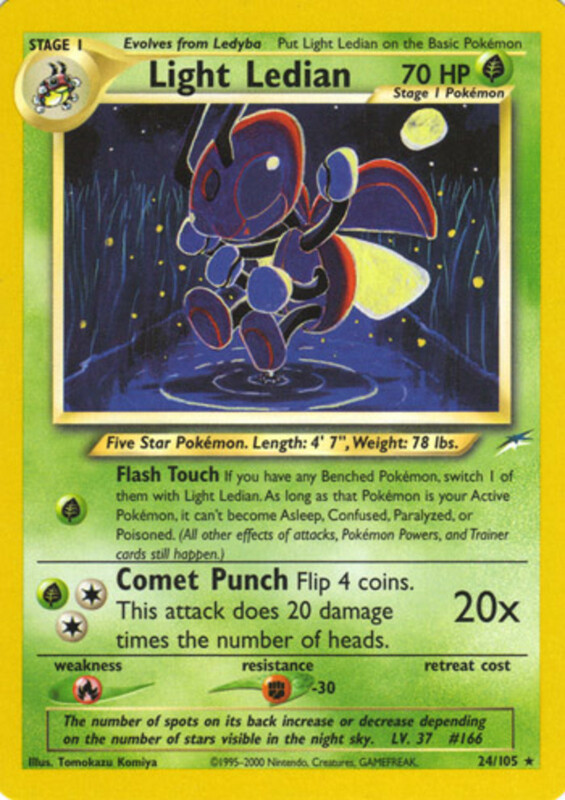 For its great retreat cost, resistance, and awesome attacks, give this underrated insect a shot! For a four-armed buff mutant, look at the serene smile on this guy's face. He joins the fray as a Stage 2 with a nice 100 HP, plus a great Poke-Power and attack. 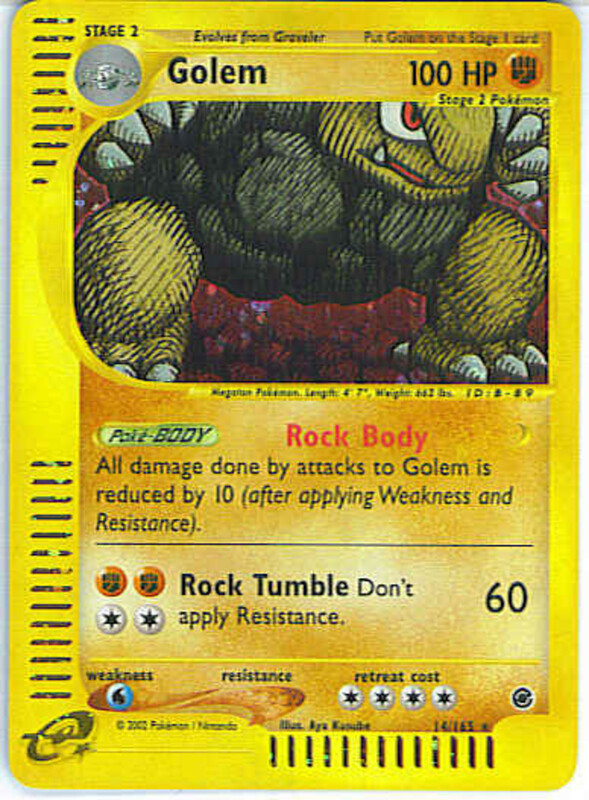 Tag Team (Poke-Power) Helpfully heals your Active Pokemon by 30 damage when you play Light Machamp on your Bench. Beatdown (3 energy) Bludgeons a sweet 50 damage. 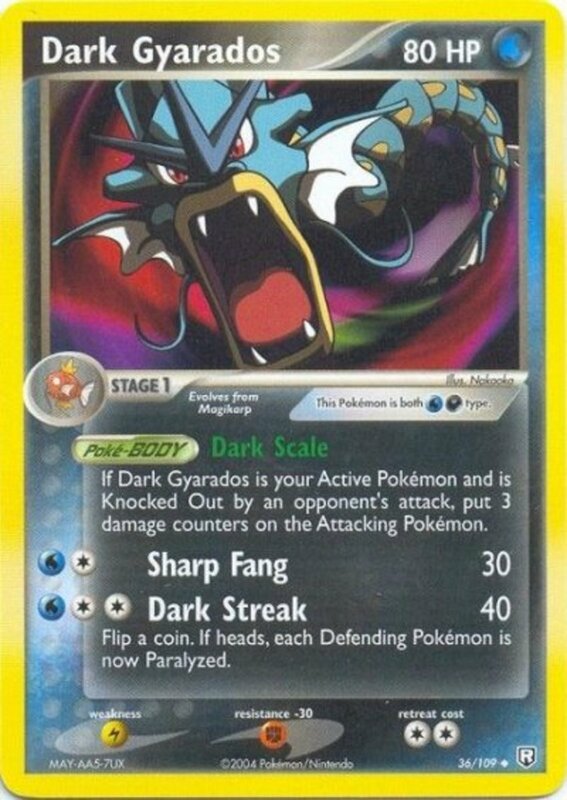 Also, if you're facing a Dark-type, or a Pokemon with "Dark" in its name (like many from the Team Rocket sets), you flip a coin, and deal an additional 50 damage on a Heads. 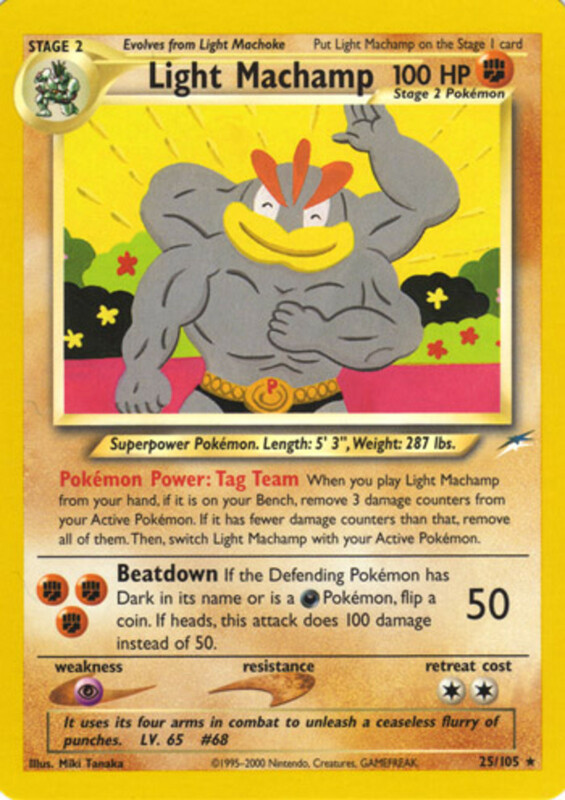 A perfect champion for the light, Machamp heals its teammates and doles out severe pain. 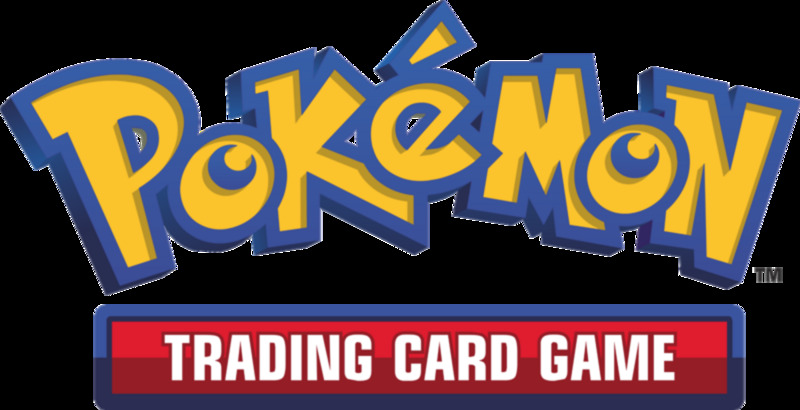 Hopefully today's list highlighted some awesome Pokemon and let old fans revisit classic cards. 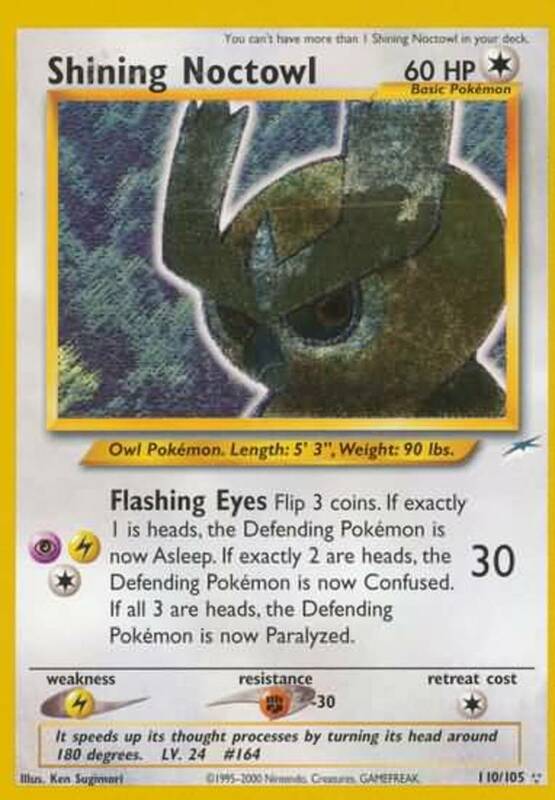 Just seeing "Light" in front of a Pokemon's name helped the cards stand out, and with luck we'll see more in the future. For now, feel free to vote for your favorite, and I'll see you at our next countdown!